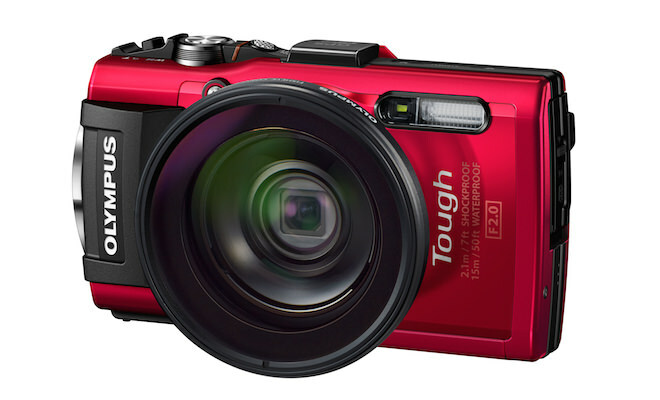 For 2014, Olympus announced its flagship rugged compact digital camera, the 16-megapixel STYLUS TOUGH TG-3 for $350. 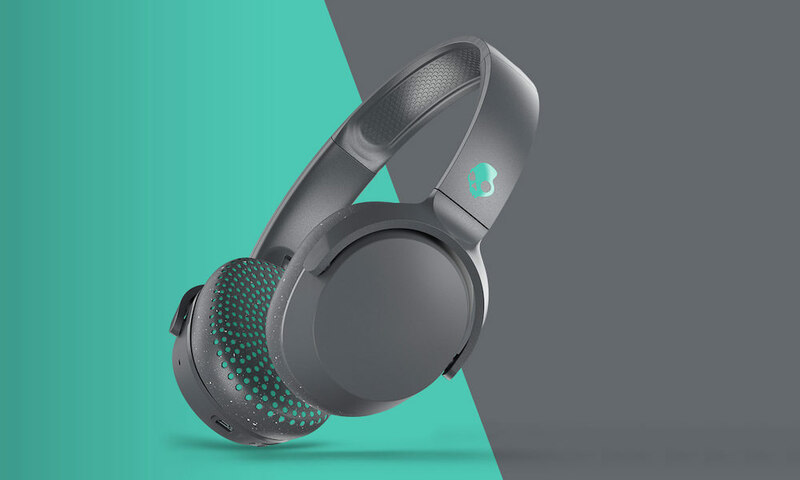 It features a high-speed f2.0 lens (25mm–100mm), expanded macro photography capabilities, GPS, and built-in Wi-Fi, and 1080p Full HD Video from anywhere. The all-weather compact camera is freezeproof to -10° (14°F), waterproof to 50 feet (15 m), shockproof from seven feet (2.1 m), crushproof to 220 pounds (100 kgf) and dustproof. A high-speed f2.0–4.9, 4.5–8.0mm (25mm–100mm) wide-aperture lens combined with its TruePic VII image processor, and a 16.0 megapixel backlit CMOS sensor captures images with minimal noise, even in low-light situations. The Olympus STYLUS TOUGH TG-3 includes built-in Wi-Fi, and the setup is simple. By quickly scanning the QR code displayed on the camera’s LCD with a smart device, it syncs with the Wi-Fi network created by the camera. The free Olympus Image Share app synchronizes a user’s iOS or Android mobile device and the STYLUS TOUGH TG-3 so that the camera’s Live View is displayed on the phone. Therefore, the camera can be fully controlled remotely by touching the Smartphone’s display, as if it were the camera itself, and users can send selected images directly to websites and social media. 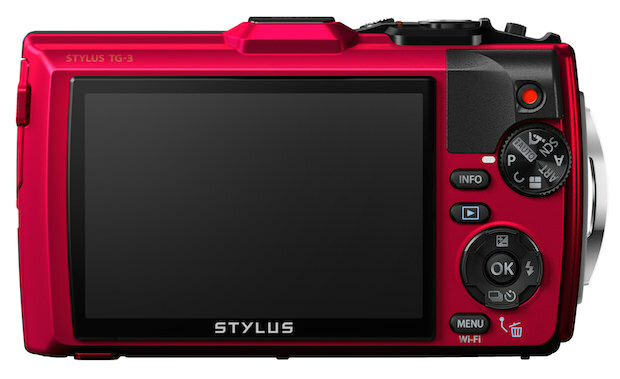 The Olympus STYLUS TOUGH TG-3 will be available in June 2014 for $349.99 (black or red).